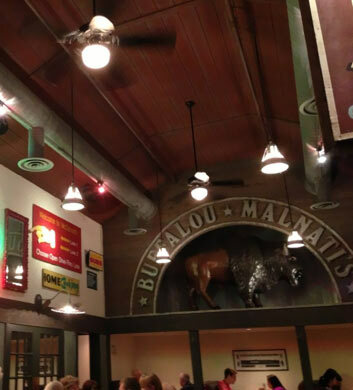 When your travels with Chi Town Limo bring you to the Buffalo Grove area, you should know that one of the very best places to dine and drink is Lou Malnati's Pizzeria. This is an absolute classic, well known for their delicious pizzas, pastas, and salads, not to mention their sensational full bar and private area toward the back! They are very well equipped to handle your larger party bus groups and your bigger celebrations! The service is always top notch here and we love the sparkling clean atmosphere. A true top recommendation! 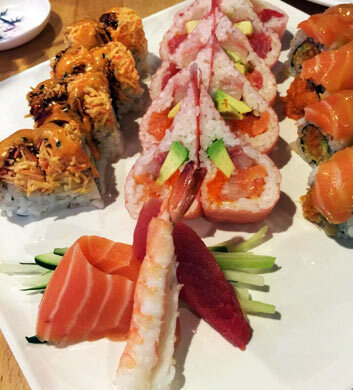 Taste of Tokyo is an amazing option if you're craving some mouth watering Japanese fare and sushi in the Buffalo Grove area. Chi Town Limo groups just adore this place and they're always raving about how fun the place is with the little boats sailing around the place with their mind blowing all-you-can-eat sushi! How cool. The prices are pretty moderate, especially considering that it's all-you-can-eat style, and you can also order special items separately. The presentation is wonderful and the service is always fast and friendly. 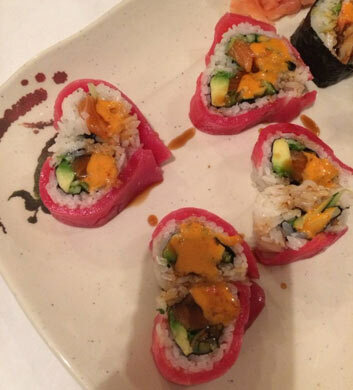 Hakuya Sushi is another awesome Japanese restaurant and sushi bar that will take good care of your needs when you're partying with your Chi Town Limo group in Buffalo Grove. This is a popular quick stop for our groups that want to enjoy a tray of sushi to-go on the road in our party vehicles, but it's also amazing for dine-in when you have the time to linger and enjoy a sit-down meal. They serve complementary miso, salad, and appetizers here, so you get a good starter for free before you even order your meal. Nice! Wonderful service here too. One more sushi restaurant for the road! 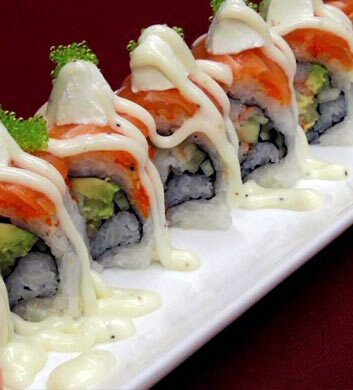 Chi Town Limo groups love Sushi Grove for their all-you-can-eat sushi at affordable prices, and the quality of everything is super fresh and good. Buffalo Grove area locals go crazy over this place too, and that's always a sign of a real winner. There's even a nice small bar here where you can enjoy your cocktails and indulge in a little conversation with your good friends. It's a nice place to make some memories while you sip yummy concoctions and nosh on delicious sushi. Such good stuff here! Grande Jake's Fresh Mexican Grill is a nice one if you're in the mood for a fun and fresh Mexican style meal in Buffalo Grove. Their salsa bar is huge and always stocked with fresh goodies for you to spice up your meal with. The food is delicious and served in very large portions. 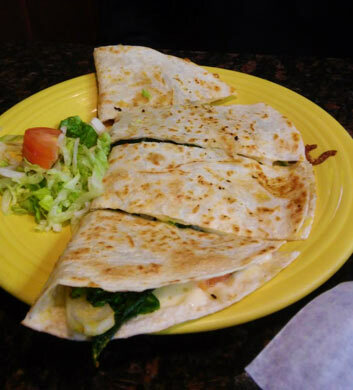 The spinach and cheese quesadillas are absolutely out of this world, even being so simple, and we love the enchiladas and burritos here as well. The free chips are an awesome starter and they're always so good! They feature outdoor seating, TVs, and even a full bar! 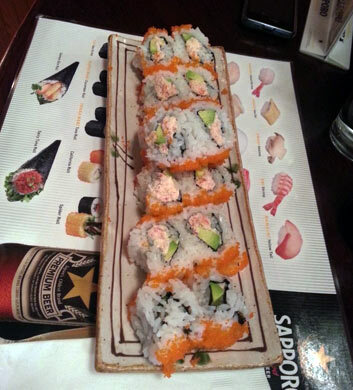 Fuji Thai combines the worlds of Japanese sushi bars and Thai restaurants right here under one roof! Can't beat the convenient Buffalo Grove location for your Chi Town Limo outing, and since there are so many different Asian delights to enjoy here, there's virtually something for everybody in your party bus group. The chicken pad thai is just out of this world, and it's a very affordable and classic option for lunch. The pad se ewe is always a good one too, and they feature really yummy crab rangoon here that is perfect as an app or a dessert!